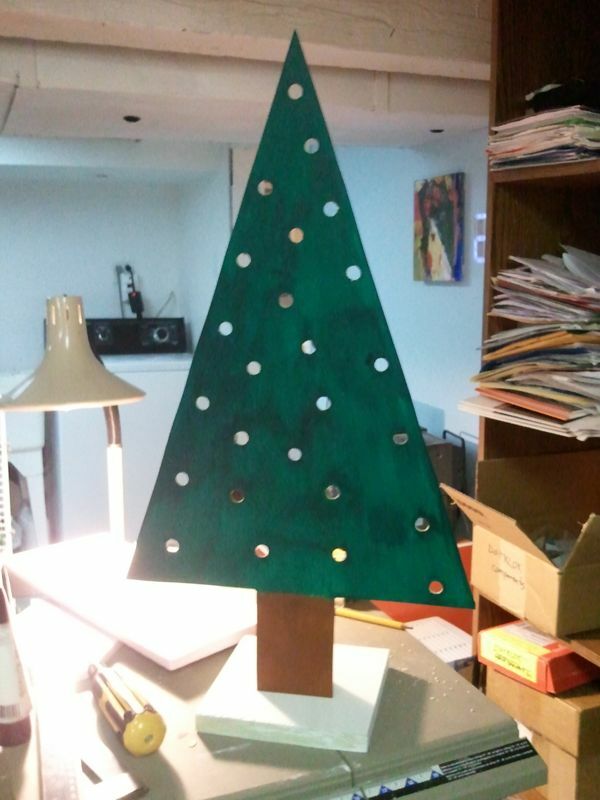 The hole pattern was planned out by eye so it would be somewhat random and the MDF board was easily cut with a handsaw. The 12mm pixels fit well enough in the 31/64″ holes with a bit of slack, yet snug enough to hold the pixels in place. 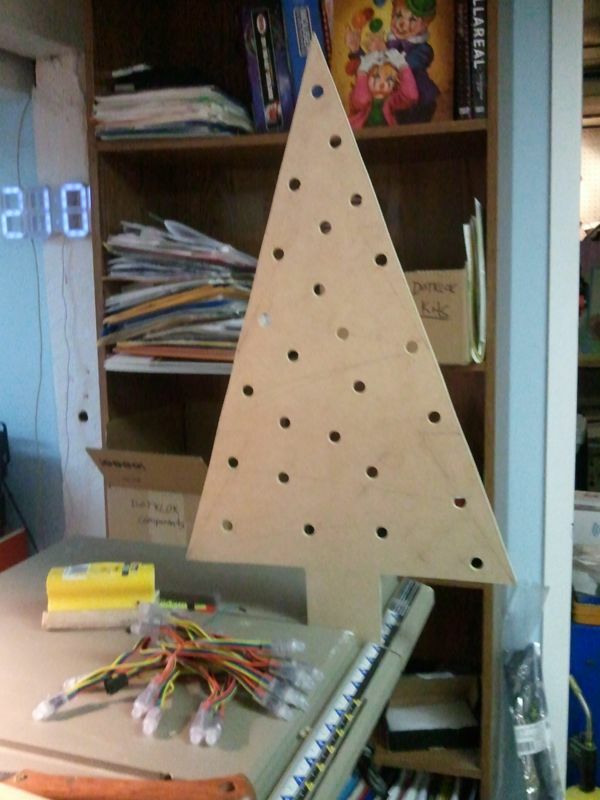 Some scrap pine serves as the base and a hidden mounting bracket to connect the tree to the base and hide an Arduino to control the lights. Wow, those lights are bright! At full brightness, the tree was pretty blinding so I’ve adjusted the settings so it doesn’t hurt when you look at it. 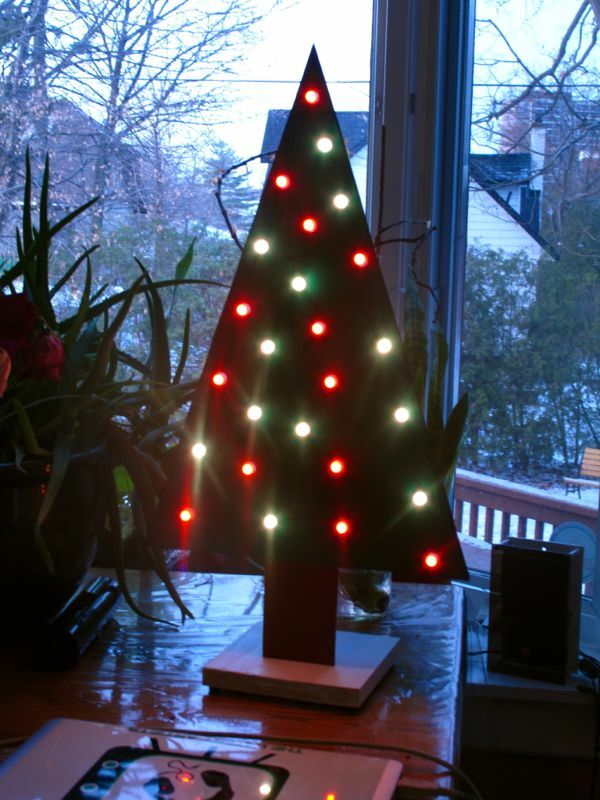 I imagine I’ll be adding to the animations over the holidays and will hopefully get some video of the tree in action. In the meantime it’ll be accompanying me on my holiday traveling and visiting. I’m happy w/ the crafty look of the tree as it reminds me of a wooden tree my mom made for me some years back with traditional incandescent string lights. 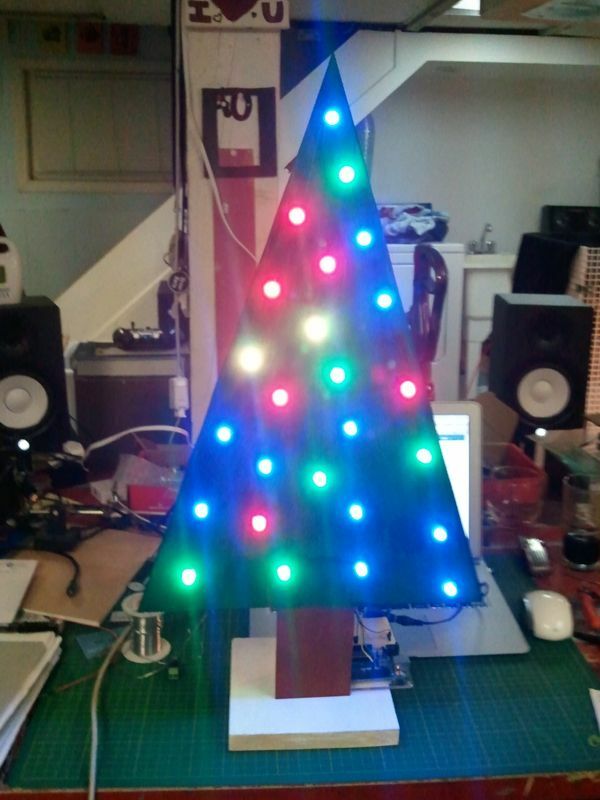 Next year I’ll start work earlier on some fancy laser-cut versions . . . 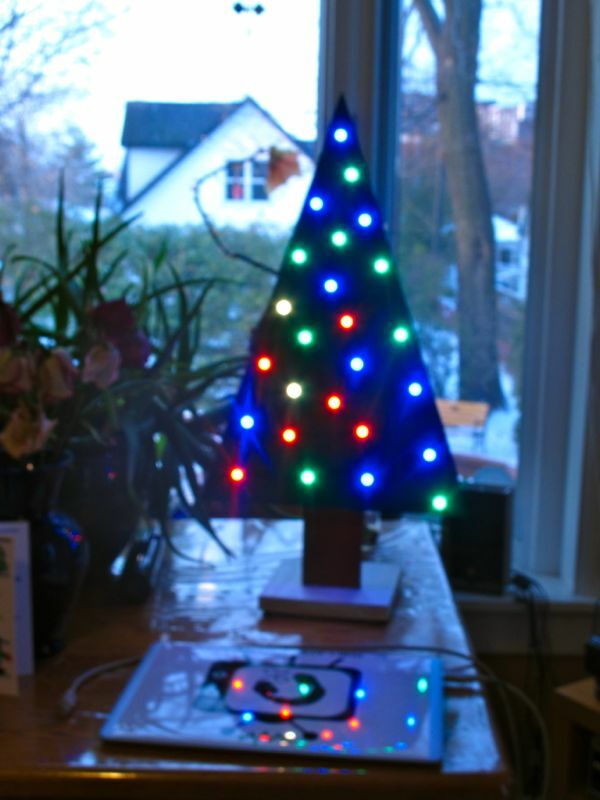 Very tempted to try connecting my tree to the Cheerlights project . . .